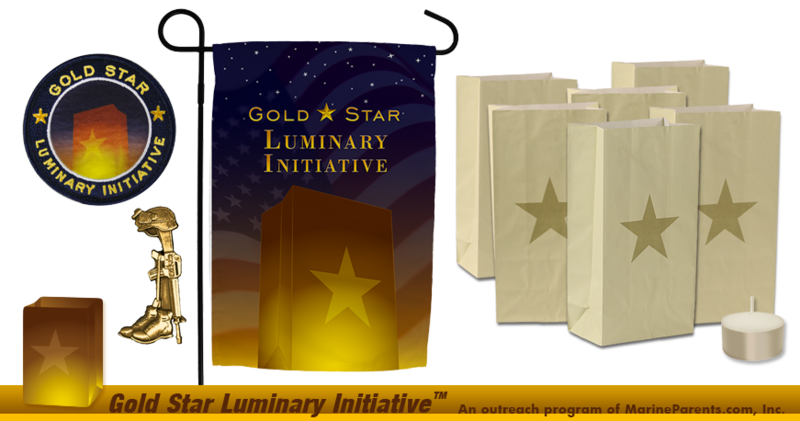 Visit the Luminary Initiative Store to get all of your Gold Star Luminary Initiative supplies. We have brochures to help you spread awareness, luminaries for your event, and a variety of items, such as battle cross lapel pins, car and garden flags, and suncatchers to help you show your support for Gold Star families. Click here for Luminary Initiative supplies.